Dependency: 778 BMW Ind Door Sill Finsh M+Ind Pnt+ZA. At least one of the following must be selected: this option, X08 Champagne Quartz-BMW Indvdl MetPaint. Dependency: 778 BMW Individual M+ZA/Individual Pntwk. At least one of the following must be selected: this option, X08 Champagne Quartz-BMW Indvdl MetPaint. Dependency: 778 BMW Indvdl Door Sill Fnshrs M+Ind/ZA. At least one of the following must be selected: this option, X08 Champagne Quartz-BMW Indvdl MetPaint. Dependency: 778 BMW Ind Door Sill Finsh M+Ind Pnt+ZA. At least one of the following must be selected: this option, X02 Citrine Black-BMW Indvdl Met Paint . Dependency: 778 BMW Individual M+ZA/Individual Pntwk. At least one of the following must be selected: this option, X02 Citrine Black-BMW Indvdl Met Paint . Dependency: 778 BMW Indvdl Door Sill Fnshrs M+Ind/ZA. At least one of the following must be selected: this option, X02 Citrine Black-BMW Indvdl Met Paint . Dependency: XT1 BMW Ind Instrmnt Pnl Fnsh M+. At least one of the following must be selected: this option, 4FU Fineline Anthracite Wood+Pearl Chrme, XE7 Piano Black Trim+Pearl Chrome Hghlgt. Dependency: 4M5 BMW Instrmnt M+Trm Fnsh/XE5/XE7/XEX. At least one of the following must be selected: this option, 4MN Aluminium Carbon Trim+PrlChrm Lghlgt, 4FU Fineline Anthracite Wood+Pearl Chrme, XE7 Piano Black Trim+Pearl Chrome Hghlgt. Dependency: XT1 BMW M+4LV/FT/WF/WG/FU/GA/MN/XEX/5/7. At least one of the following must be selected: this option, 4FU Fineline Anthracite Wood+Pearl Chrme, XE7 Piano Black Trim+Pearl Chrome Hghlgt. Dependency: 4M5 BMWInstruPnl M+4FT/U/MN/WG/XE5/7/X. At least one of the following must be selected: this option, 4FU Fineline Anthracite Wood+Pearl Chrme, XE7 Piano Black Trim+Pearl Chrome Hghlgt. Dependency: 4M5 BMW Individual Instr M+Intr Trm Fnsh. At least one of the following must be selected: this option, 4FU Fineline Anthracite Wood+Pearl Chrme, XE7 Piano Black Trim+Pearl Chrome Hghlgt. Dependency: XT1 BMW M+4FT/FU/FW/LS/GA/WG/MN/XE5/7/EX. At least one of the following must be selected: this option, 4FU Fineline Anthracite Wood+Pearl Chrme, XE7 Piano Black Trim+Pearl Chrome Hghlgt. Dependency: 4M5 BMW IndM+4FT/U/A/G/W/LS/MN/XE5/7/XEX. At least one of the following must be selected: this option, 4FU Fineline Anthracite Wood+Pearl Chrme, XE7 Piano Black Trim+Pearl Chrome Hghlgt. Dependency: 4M5 M+4FT/U/W/LS/GA/WG/XE5/7/X/4MN+493+. At least one of the following must be selected: this option, 4FU Fineline Anthracite Wood+Pearl Chrme, XE7 Piano Black Trim+Pearl Chrome Hghlgt. Dependency: XTI BMWInstruPnl M+XE5/7/X/4GA/B/4FT-WG. At least one of the following must be selected: this option, 4FU Fineline Anthracite Wood+Pearl Chrme, XE7 Piano Black Trim+Pearl Chrome Hghlgt. Dependency: XT1 BMW Ind Inst Pnl M+563/XEX/XE5/XE7. At least one of the following must be selected: this option, 4MN Aluminium Carbon Trim+PrlChrm Lghlgt, 4FU Fineline Anthracite Wood+Pearl Chrme, XE7 Piano Black Trim+Pearl Chrome Hghlgt. Dependency: XT1 M+4FT/4FU/4FW/4GA/4WF/WG/XE5/XE7/XEX. At least one of the following must be selected: this option, 4FU Fineline Anthracite Wood+Pearl Chrme, XE7 Piano Black Trim+Pearl Chrome Hghlgt. Dependency: 4M5 M+4FT/4FU/4FW/4GA/4WF/WG/XE5/XE7/XEX. At least one of the following must be selected: this option, 4FU Fineline Anthracite Wood+Pearl Chrme, XE7 Piano Black Trim+Pearl Chrome Hghlgt. Dependency: XT1 M+4FT/4FU/4FW/4GA/4WF/4WG/XE5/XE7/EX. At least one of the following must be selected: this option, 4FU Fineline Anthracite Wood+Pearl Chrme, XE7 Piano Black Trim+Pearl Chrome Hghlgt. Dependency: XT1 M+4FT/4FU/FW/GA/WF/WG/MN/XE5/XE7/XEX. At least one of the following must be selected: this option, 4FU Fineline Anthracite Wood+Pearl Chrme, XE7 Piano Black Trim+Pearl Chrome Hghlgt. Dependency: 4M5 BMW Instrmnt M+Trm Fnsh/XE5/XE7/XEX. At least one of the following must be selected: this option, 4FT Brushed Aluminium Trim+Balck HghGlos, 4FU Fineline Anthracite Wood+Pearl Chrme, XE7 Piano Black Trim+Pearl Chrome Hghlgt. Dependency: XT1 BMW Ind Inst Pnl M+563/XEX/XE5/XE7. At least one of the following must be selected: this option, 4FT Brushed Aluminium Trim+Balck HghGlos, 4FU Fineline Anthracite Wood+Pearl Chrme, XE7 Piano Black Trim+Pearl Chrome Hghlgt. Dependency: XT1 BMW Ind Instrmnt Pnl Fnsh M+. At least one of the following must be selected: this option, 4FT Brushed Aluminium Trim+Balck HghGlos, XE7 Piano Black Trim+Pearl Chrome Hghlgt. Dependency: 4M5 BMW Instrmnt M+Trm Fnsh/XE5/XE7/XEX. At least one of the following must be selected: this option, 4FT Brushed Aluminium Trim+Balck HghGlos, 4MN Aluminium Carbon Trim+PrlChrm Lghlgt, XE7 Piano Black Trim+Pearl Chrome Hghlgt. Dependency: XT1 BMW M+4LV/FT/WF/WG/FU/GA/MN/XEX/5/7. At least one of the following must be selected: this option, 4FT Brushed Aluminium Trim+Balck HghGlos, XE7 Piano Black Trim+Pearl Chrome Hghlgt. Dependency: 4M5 BMWInstruPnl M+4FT/U/MN/WG/XE5/7/X. At least one of the following must be selected: this option, 4FT Brushed Aluminium Trim+Balck HghGlos, XE7 Piano Black Trim+Pearl Chrome Hghlgt. Dependency: 4M5 BMW Individual Instr M+Intr Trm Fnsh. At least one of the following must be selected: this option, 4FT Brushed Aluminium Trim+Balck HghGlos, XE7 Piano Black Trim+Pearl Chrome Hghlgt. Dependency: XT1 BMW M+4FT/U/W/LS/GA/WG/XE5/E7/EX/4WF. At least one of the following must be selected: this option, XE7 Piano Black Trim+Pearl Chrome Hghlgt. Dependency: 4M5 BMW M+4FT/U/W/LS/GA/WG/XE5/E7/EX/4WF. At least one of the following must be selected: this option, XE7 Piano Black Trim+Pearl Chrome Hghlgt. Dependency: XT1 BMW M+4FT/FU/FW/LS/GA/WG/MN/XE5/7/EX. At least one of the following must be selected: this option, 4FT Brushed Aluminium Trim+Balck HghGlos, XE7 Piano Black Trim+Pearl Chrome Hghlgt. Dependency: 4M5 BMW IndM+4FT/U/A/G/W/LS/MN/XE5/7/XEX. At least one of the following must be selected: this option, 4FT Brushed Aluminium Trim+Balck HghGlos, XE7 Piano Black Trim+Pearl Chrome Hghlgt. Dependency: XT1 M+4FT/U/A/G/W/F/MN/XE5/E7/EX/4MN/4WF. At least one of the following must be selected: this option, XE7 Piano Black Trim+Pearl Chrome Hghlgt. Dependency: 4M5 M+4FT/U/W/LS/GA/WG/XE5/7/X/4MN+493+. At least one of the following must be selected: this option, 4FT Brushed Aluminium Trim+Balck HghGlos, XE7 Piano Black Trim+Pearl Chrome Hghlgt. Dependency: XTI BMWInstruPnl M+XE5/7/X/4GA/B/4FT-WG. At least one of the following must be selected: this option, 4FT Brushed Aluminium Trim+Balck HghGlos, XE7 Piano Black Trim+Pearl Chrome Hghlgt. Dependency: XT1 BMW Ind Inst Pnl M+563/XEX/XE5/XE7. At least one of the following must be selected: this option, 4FT Brushed Aluminium Trim+Balck HghGlos, 4MN Aluminium Carbon Trim+PrlChrm Lghlgt, XE7 Piano Black Trim+Pearl Chrome Hghlgt. Dependency: XT1 M+4FT/4FU/4FW/4GA/4WF/WG/XE5/XE7/XEX. At least one of the following must be selected: this option, 4FT Brushed Aluminium Trim+Balck HghGlos, XE7 Piano Black Trim+Pearl Chrome Hghlgt. Dependency: 4M5 M+4FT/4FU/4FW/4GA/4WF/WG/XE5/XE7/XEX. At least one of the following must be selected: this option, 4FT Brushed Aluminium Trim+Balck HghGlos, XE7 Piano Black Trim+Pearl Chrome Hghlgt. Dependency: XT1 M+4FT/4FU/4FW/4GA/4WF/4WG/XE5/XE7/EX. At least one of the following must be selected: this option, 4FT Brushed Aluminium Trim+Balck HghGlos, XE7 Piano Black Trim+Pearl Chrome Hghlgt. Dependency: XT1 M+4FT/4FU/FW/GA/WF/WG/MN/XE5/XE7/XEX. At least one of the following must be selected: this option, 4FT Brushed Aluminium Trim+Balck HghGlos, XE7 Piano Black Trim+Pearl Chrome Hghlgt. Dependency: XT1 BMW Ind Instrmnt Pnl Fnsh M+. At least one of the following must be selected: this option, 4FT Brushed Aluminium Trim+Balck HghGlos, 4FU Fineline Anthracite Wood+Pearl Chrme. Dependency: 4M5 BMW Instrmnt M+Trm Fnsh/XE5/XE7/XEX. At least one of the following must be selected: this option, 4FT Brushed Aluminium Trim+Balck HghGlos, 4MN Aluminium Carbon Trim+PrlChrm Lghlgt, 4FU Fineline Anthracite Wood+Pearl Chrme. Dependency: XT1 BMW M+4LV/FT/WF/WG/FU/GA/MN/XEX/5/7. At least one of the following must be selected: this option, 4FT Brushed Aluminium Trim+Balck HghGlos, 4FU Fineline Anthracite Wood+Pearl Chrme. Dependency: 4M5 BMWInstruPnl M+4FT/U/MN/WG/XE5/7/X. At least one of the following must be selected: this option, 4FT Brushed Aluminium Trim+Balck HghGlos, 4FU Fineline Anthracite Wood+Pearl Chrme. Dependency: 4M5 BMW Individual Instr M+Intr Trm Fnsh. At least one of the following must be selected: this option, 4FT Brushed Aluminium Trim+Balck HghGlos, 4FU Fineline Anthracite Wood+Pearl Chrme. Dependency: XT1 BMW M+4FT/U/W/LS/GA/WG/XE5/E7/EX/4WF. At least one of the following must be selected: this option, 4FU Fineline Anthracite Wood+Pearl Chrme. Dependency: 4M5 BMW M+4FT/U/W/LS/GA/WG/XE5/E7/EX/4WF. At least one of the following must be selected: this option, 4FU Fineline Anthracite Wood+Pearl Chrme. Dependency: XT1 BMW M+4FT/FU/FW/LS/GA/WG/MN/XE5/7/EX. At least one of the following must be selected: this option, 4FT Brushed Aluminium Trim+Balck HghGlos, 4FU Fineline Anthracite Wood+Pearl Chrme. Dependency: 4M5 BMW IndM+4FT/U/A/G/W/LS/MN/XE5/7/XEX. At least one of the following must be selected: this option, 4FT Brushed Aluminium Trim+Balck HghGlos, 4FU Fineline Anthracite Wood+Pearl Chrme. Dependency: XT1 M+4FT/U/A/G/W/F/MN/XE5/E7/EX/4MN/4WF. At least one of the following must be selected: this option, 4FU Fineline Anthracite Wood+Pearl Chrme. Dependency: 4M5 M+4FT/U/W/LS/GA/WG/XE5/7/X/4MN+493+. At least one of the following must be selected: this option, 4FT Brushed Aluminium Trim+Balck HghGlos, 4FU Fineline Anthracite Wood+Pearl Chrme. 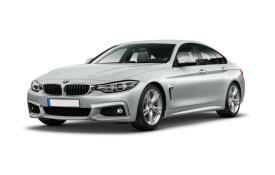 Dependency: XTI BMWInstruPnl M+XE5/7/X/4GA/B/4FT-WG. At least one of the following must be selected: this option, 4FT Brushed Aluminium Trim+Balck HghGlos, 4FU Fineline Anthracite Wood+Pearl Chrme. Dependency: XT1 BMW Ind Inst Pnl M+563/XEX/XE5/XE7. At least one of the following must be selected: this option, 4FT Brushed Aluminium Trim+Balck HghGlos, 4MN Aluminium Carbon Trim+PrlChrm Lghlgt, 4FU Fineline Anthracite Wood+Pearl Chrme. Dependency: XT1 M+4FT/4FU/4FW/4GA/4WF/WG/XE5/XE7/XEX. At least one of the following must be selected: this option, 4FT Brushed Aluminium Trim+Balck HghGlos, 4FU Fineline Anthracite Wood+Pearl Chrme. Dependency: 4M5 M+4FT/4FU/4FW/4GA/4WF/WG/XE5/XE7/XEX. At least one of the following must be selected: this option, 4FT Brushed Aluminium Trim+Balck HghGlos, 4FU Fineline Anthracite Wood+Pearl Chrme. Dependency: XT1 M+4FT/4FU/4FW/4GA/4WF/4WG/XE5/XE7/EX. At least one of the following must be selected: this option, 4FT Brushed Aluminium Trim+Balck HghGlos, 4FU Fineline Anthracite Wood+Pearl Chrme. Dependency: XT1 M+4FT/4FU/FW/GA/WF/WG/MN/XE5/XE7/XEX. At least one of the following must be selected: this option, 4FT Brushed Aluminium Trim+Balck HghGlos, 4FU Fineline Anthracite Wood+Pearl Chrme.